Parenting is a skill and it requires lots of patience & perseverance on the part of parents while addressing kids. require less guidance while some are shy and meek and they need more attention from parents. weakness and deal them accordingly. that they did not have enough time to spare to delve into such fine details. They had the huge responsibility of extended families, five children and looking after the house. choose to be…it’s my choice else I am extrovert, ready to pour my ideas and beliefs and even give an uninterrupted sermon where required. rewarded me with writing skills because whenever thoughts gushed inside me, I poured it raw on the journal and this was my bright side and today I am a gainer choosing blogging as my profession…my been introvert made me Creative. In our time, we did not have so many gadgets…we had limited choice…either to play in the playground…indulge in some creativity or study…but the scenario of today is quite different. personality of kids are not at stake. If your child is dull and doesn’t want to mingle with the kids of their age group, he needs your attention. Rule out the reason for this behavior and encourage them to be active and participate in group activity. Find out their field of interest and encourage them to participate fully. Have open discussions with your kids and inquire if something is bothering them. At times, children don’t open up because of some unknown fear or inadequate knowledge. visit your house and introduce them to your guests, gradually he will develop the habit of conversing with strangers and it will boost their personality. and give them the liberty to arrange special programs on festivals and special occasion, it will add creativity to them. friends, at times, they may be reluctant but slowly it will interest them. Computer because these activities nips the creativity and imaginative skills of a child. If he is more inclined in extracurricular activities, encourage them to indulge. Study is important but they need assistance in carving a niche in their field of interest. Discouragement make kids introvert. on their activities. Time to time, try to find out about the activities of your child at school or with friends, it will help you to know how he is performing with others. things should not be pronounced especially when your kids is approaching teens as they are quite vulnerable at this age and they need utmost care. What I did as a Parent? Never bullied them in front of other family members, friends or neighbors. down with them and discussed openly what was bothering them. These tips encouraged them to come out of their shell and enhanced their personality. Open discussion helps to develop confidence in children and they are fit to discuss and sort out issues. 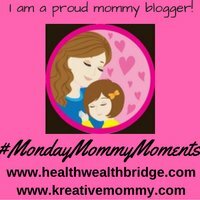 Linking this post to #MondayMommyMoments hosted by Deepa Gandhi and Dr. Amrita Misra. Those are great insights. As an elder sister, I was more like a parent to my kid brother, and did make a few mistakes. Wish I knew these things back then. Agree on all the points you mentioned Ila. Parents should be vigilant and follow all their activities. Thanks for writing for #MMM. Exactly how they should be treated. Hi! I’ve been following your blog for some time now and finally got the courage to go ahead and give you a shout out from Porter Tx! Just wanted to mention keep up the excellent job! Previous page Previous post: Gujarat welcomes Madhya Pradesh to experience the many hues of tourism!